CONVENIENT LOCATION! NICE COMMUNITY! LARGE LOT! GOOD SCHOOLS! UPDATED HOME! GREAT PRICE! 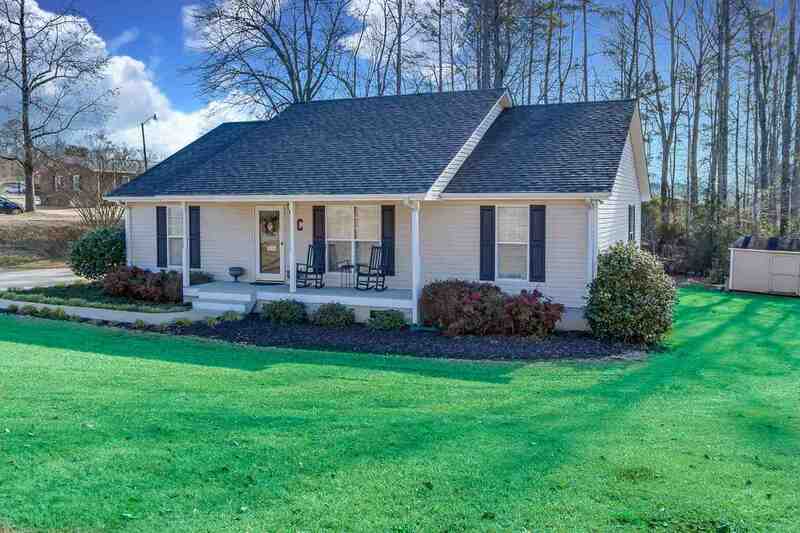 This LOCATION is conveniently situated for easy access to Spartanburg County cities plus Greenville County&apos;s Woodruff Road Area, where shopping and dining abound. This property is just one minute from Highway 101, giving easy access to interstate I-85, Greenville/Spartanburg International Airport, and the Upstate&apos;s BMW plant. Whispering Pines and Willow Creek golf courses are just minutes away. This is a wonderful "small town" community, where life, as well as traffic, is slower, yet everything is convenient every day. This LOT is a nicely landscaped half-acre backing to trees, with room to breathe. You will enjoy your morning coffee on the veranda out back or evening barbecues in privacy and beauty. There is a sense of pride in the schools with their top-ranked test scores and star students as well as athletes. The HOME itself is a one-owner custom-built home with lots of updates and upgrades. The floor plan is the BEST, with the master bedroom suite on one side and two bedrooms and one bathroom on the other, with a wonderful open family area in the middle. Special features include: beautiful granite look-alike countertops, spacious dining room/kitchen, walk-in pantry, mud room, rocking-chair front porch, and gas hookup for stove. Upgrades/updates include: stainless/black stove & dishwasher (2017), new roof (2015) Trane HVAC including new ductwork, tankless hot water heater, beautiful ceiling fans and pretty laminate wood floors. GREAT PRICE in today&apos;s market for all this place has to offer!! !